Took me several failed prototypes with uncooperative materials, but I've figured out how to make magnets at home! I always look for fanmade magnets at cons but I haven't found any that aren't round button style, so I decided to see if I could make some. 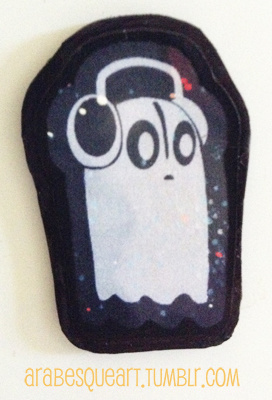 I've got it down pat, so now you can find Blooky magnets in my Etsy shop.